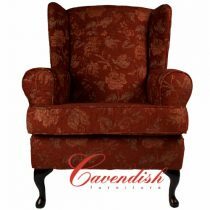 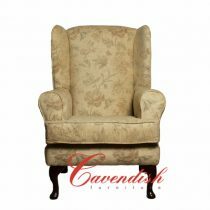 Cavendish Orthopedic High seat chair with wooden knuckles. 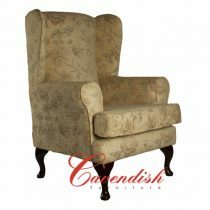 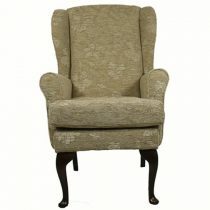 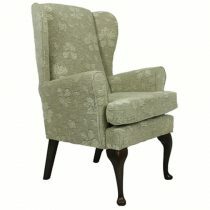 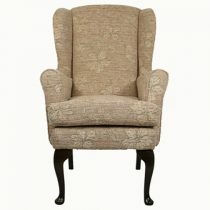 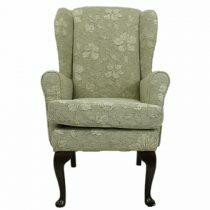 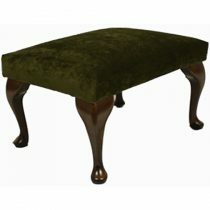 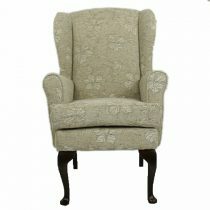 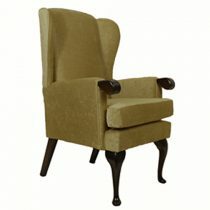 Upholstered in a Beige chenille fabric. A Gently supportive armchair. 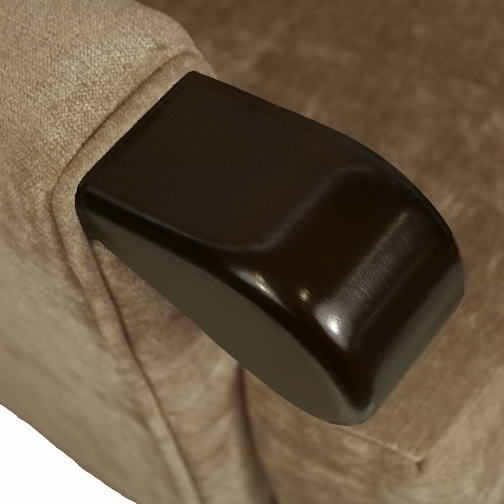 The upholstered arms are soft and comfortable on the elbows, the wooden knuckles assist when rising or sitting in the chair.